Loft conversions offer extra space for storage or an additional room, are attractive, require no planning permission and can help to increase the value of your home if you go to sell. 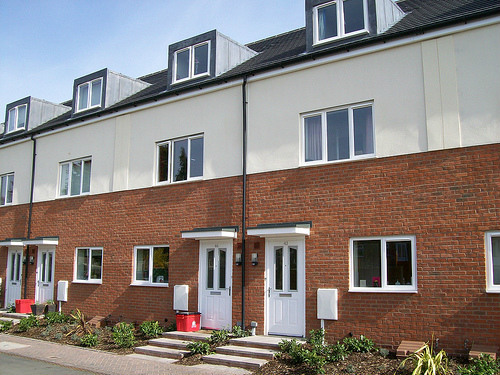 The building process is rarely affected by the weather; ideal if you plan to do your conversion work in winter. If you’ve toyed with the idea of a loft conversion in order to make extra room in your home, you may not be aware of the pros and cons associated with a loft conversion. A conversion is not always suitable for everyone’s home and there are a number of factors that you need to take into account before you proceed. 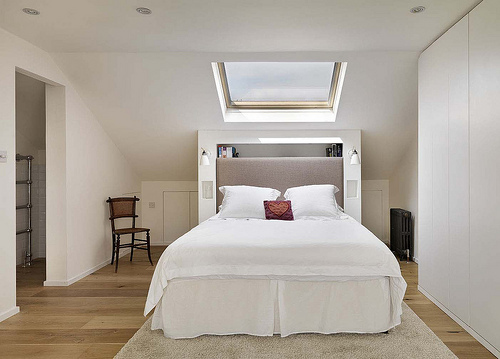 In the case of a smaller property, a loft conversion could be converted into another bedroom or even an office without the need for a traditional home extension. Adding space upstairs means you can avoid running into brick walls such as not having the room, or the planning permission, required to build an extension on your home. 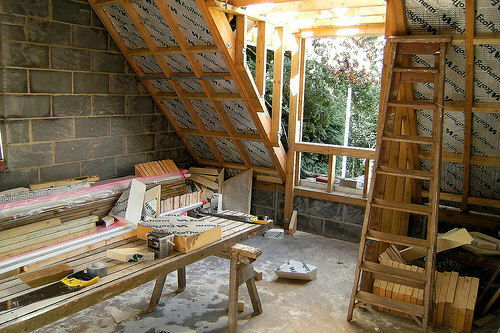 A loft conversion is usually quite a bit cheaper per square metre than an extension as it does not involve in major structural work to the house. Adding a loft conversion to your home could also increase the value by anything from 10-20% making it a great investment for those who are looking to expand their living space for the time being but also plan to sell further down the line. Many people have to contend with the fact that with a traditional conversion they are going to lose some outside space such as taking a chunk out of the garden or sacrificing a driveway, depending on whether the conversion is going to be on the front or the back of the house. With a loft conversion this is not the case as you are building upwards as opposed to outwards meaning you can keep on enjoying your outside space. Whether you live in a built up neighbourhood or not, nobody likes to feel like they’re being watched, or have to sacrifice natural light to avoid encroaching on your next door neighbour’s privacy. Traditional extensions have strict guidelines about where you can and can’t place your windows, but with a loft conversion, you can use Velux roof windows or sun tunnels to flood your space with natural light without feeling like a peeping Tom. If you intend to use the conversion as a room for sleeping in, bear in mind a lot of loft conversions have a sloping ceiling. Ceilings less than 2 metres could pose a problem fitting furniture in let alone trying to walk in your loft. Houses with a low pitched roof such as a truss roof are not always suitable to be converted. In these cases, the roof structure may have to be remodelled, sometimes at considerable expense. There are tight regulations surrounding changing the structure and look of your roof in order to accommodate a loft conversion. For example, an extension beyond the plane of the existing roof that fronts onto a main road is not permitted and no part of the extension can be higher than the highest part of the existing roof. 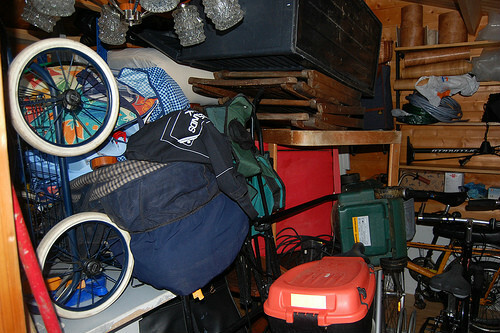 Unless your loft conversion is going to be used solely for storage what will you do with the things already in there? Loft conversions can have a big impact on storage space in the remainder of the home; you could end up with even less space in the rest of the house than before due to having to try to make space for the things that was once in the loft. One way to get around this could be to install built in cupboards at the lowest point of the roof. This space would otherwise be useless as you can’t comfortably fit furniture in such a shallow gap but it provides the perfect cubby hiding place for all of your things. Most loft conversions can be carried out with the minimum local authority approvals; this is especially the case when you are not changing the visible appearance of the roof in any way. This guide will help you to understand what’s allowed and what’s not when it comes to converting your loft space into living space. Naturally, a loft conversion requires light and the introduction of Velux windows into the roof allow the maximum amount of light to come into the conversion without changing the overall shape or look of the roof. Other good way of bringing light into a loft conversion without changing the look of the roof is by fitting a sun tunnel, which is effectively a tube that runs from the external face of the roof down to the ceiling of the extension to allow room to flood into the room. Converting your roof does come at a financial cost, but the benefits of converting your roof into habitable space and the extra value to your property gained by adding an extra room should far exceed the outlay of having the work done. If you’re thinking about adding a loft conversion to your home, it’s best to talk to a professional before undergoing any work. They will be able to guide you through the process and ensure you don’t fall foul of government regulations. You should also talk to your roofer regarding window options as well as tile supplies to make your new conversion fit in seamlessly with your existing roof.